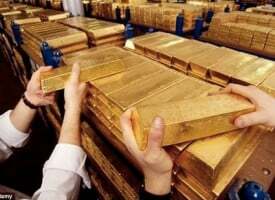 Is An Epic Gold Short Squeeze In The Cards? 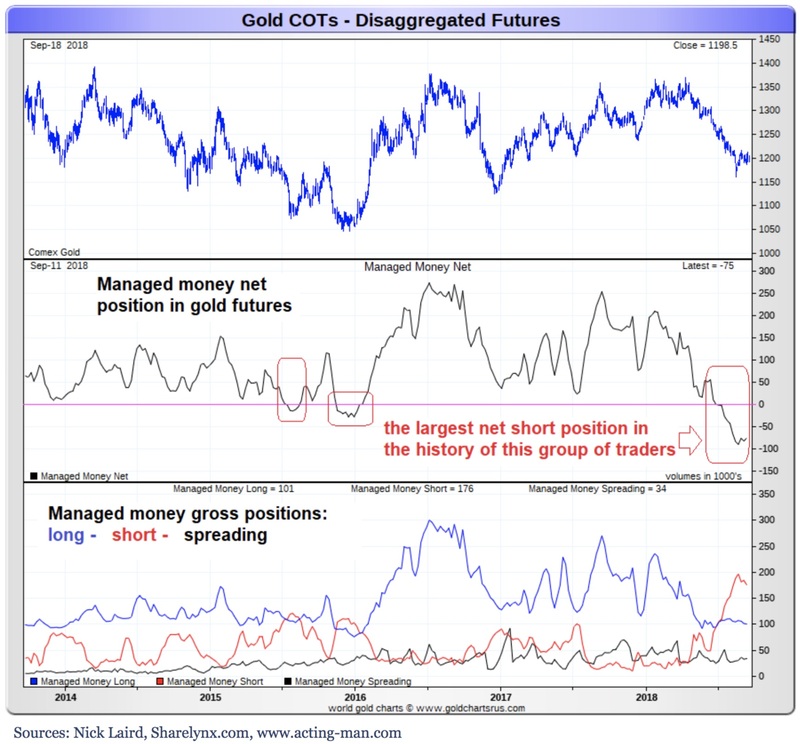 October 5 (King World News) – According to the COT report, large speculators have completely abandoned their net long exposure to gold futures. 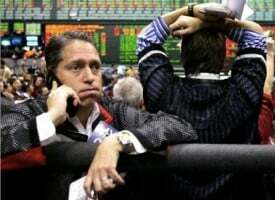 They are currently slightly net short for the first time since gold prices crossed the $ 270 level more than 17 years ago. 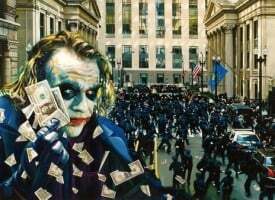 The managed money (including CTA‘s, hedge funds etc.) has amassed the largest net short position in the history of the disaggregated CoT report. 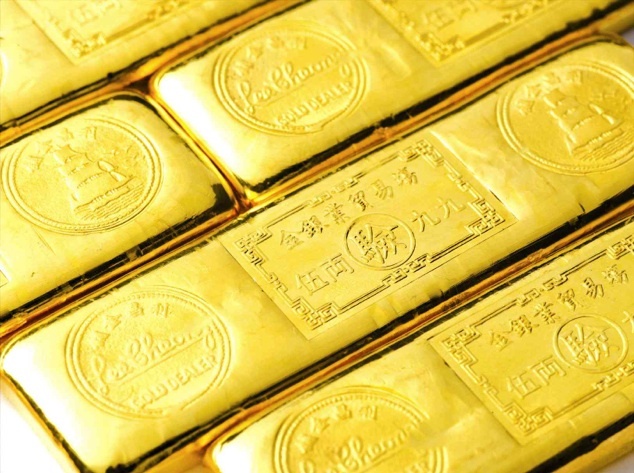 It is currently three times greater than the previous record set in December 2015, when Gold bottomed and began its rally from 1,045 to 1,377 within 6 months. 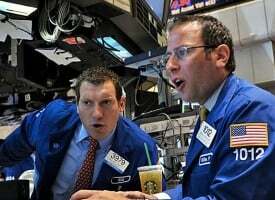 Managed Money Has Amassed Largest Not Short Position In History! Commercials – the so-called “smart money” because they tend to be right at extremes – had their lowest net short position since December 2015. On Sept 9th, commercials for the first time in 17 years flipped their COMEX positioning to net long. 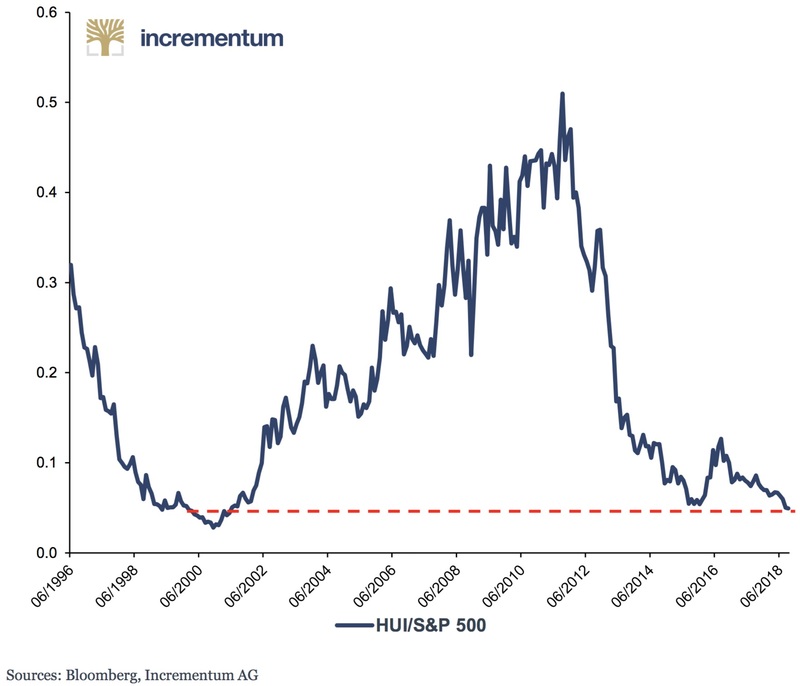 The HUI/SPX ratio currently stands at the same level like in 2001 and 12/2015 when the last bull markets in gold stocks started (see chart below). The recent M&A deal-flow (Barrick & Randgold) might have marked the bottom of the bear market. According to Sentimentrader, 11 out of 12 mining stocks that are traded on a United States exchange have hit a 52-week low. This has happened only a handful times in 25 years. 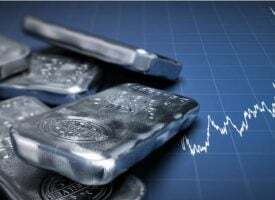 Over the next two weeks, mining stocks rebounded 8 out of 10 times. We are convinced that the recent capitulation selling offers a very skewed risk/reward-profile of the next couple of months. 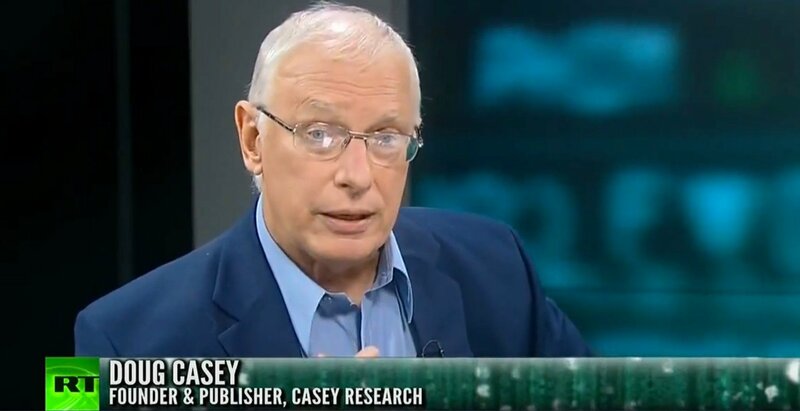 ALSO JUST RELEASED: This Major Indicator Has Now Reached One Of The Most Extreme Levels In 60 Years CLICK HERE TO READ.